Tattoo Destroyer is an incredible tattoo fading product that uses ingredients that have been shown to be safe and effective. TATTOO DESTROYER. Tattoo removal without pain or scarring. 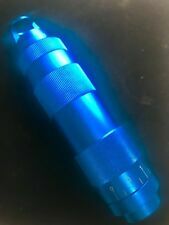 Tattoo Destroyer is simpler, more affordable than laser and convenient to use. This is pre-installed with the 532nm magnifying lens. Standard 532nm, 1064nm & 1320nm lens also available. We also sale the 1064nm magnifying lens or as a kit. Tattoo Removal Accessories. Suitable for all ND-YAG & Q-Switch tattoo removal lasers. This is pre-installed with the 1064nm & 532nm magnifying lens. Standard 532nm, 1064nm & 1320nm lens also available. Tattoo Removal Accessories. Suitable for all ND-YAG & Q-Switch tattoo removal lasers. Tattoo Destroyer is an incredible tattoo fading product that uses ingredients that have been shown to be safe and effective. (results vary). SPARTAN PERFORM. 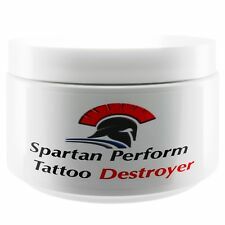 Tattoo Destroyer is simpler, more affordable than laser and convenient to use. Q Switch Nd Yag Laser Tattoo Removal Magnifying Zoom Lens 1064nm. This is pre-installed with the 1064nm magnifying lens. Standard 532nm, 1064nm & 1320nm lens alsoavailable. Suitable for all ND-YAG & Q-Switch tattoo removal lasers. Risultato più efficace e più veloce della macchina di rimozione del tatuaggio portatile Picosecond Laser 755nm La larghezza dell'impulso laser di Picosecondo è solo un centesimo rispetto al tradizionale laser a nanosecondi Q-switched. 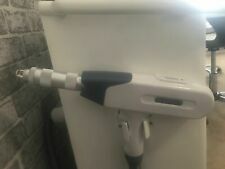 This is our highest spec ND yag laser. YAG Bar Size. Apollo Jupiter. Key Features of the Apollo Jupiter. Far superior power output New blue LCD, microcomputer auto count, function & screen saver added. IN GOOD USED CONDITION. 1 SANDOWN CENTRE. WHITEHORSE TECHNICAL LTD. The sale of this item may be subject to regulation by the U.S. Food and Drug Administration and state and local regulatory agencies. Macchina per rimozione del tatuaggio laser Picosure. Rimozione di tutti i colori del tatuaggio, degli occhi e delle labbra. Frequenza di uscita laser: 1-10hz;. Placche senili, lentiggini, macchie solari e cloasma. 1 Pint size the number one tattoo cleanser in the industry. Cosco green soap is excellent when diluted with water for skin prep and also for stencil application. Diluting suggestions: 1 part green soap and 9 parts water as a skin wash and for applying stencils. Picosecond laser background. The first picosecond laser PICOSURE from Synosure in US got FDA. The second picosecond laser ENLIGHTEN from CUTERA in US got FDA. Picosecond vs.Traditional. • Picosecond laser uses PressureWave™ Technology to shatter targets into. 4 Technologies in 1 machine OPT SHR E Light ND Yag. ND YAG LASER. OPT SHR is a new technology of permanent hair removal which has been hailed a huge success. OPT SHR (Fast Hair Removal). A tissue tightening with the Bi-polar RF is the newest and most advanced non-laser, non-ablativeradio frequency (RF) system available. PicoSure micro lens array q switch nd yag picosecond laser. 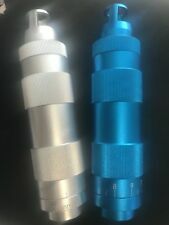 Apollo Pico Plus pico second Laser. The Pico laser is far less uncomfortable than previous conventional lasers. The laser light pulses produced by the Pico laser may feel similar to a slight rubbing, although the apparatus does not touch the skin. BLANC CREAM is an incredible tattoo fading product that uses ingredients that have been shown to be safe and effective. BLANC CREAM. BLANC CREAM is simpler, more affordable than laser and convenient to use. Complete Deluxe Kit Includes IPL Hand Piece 220jcm2 energy density (fluence), key lockout safety switch, laser 'enabled' system status LED, adjustable intensity, 2 quantity of protection eyewear, 50ml carbon dye, tweezers and instructions. Tattoo Destroyer is an incredible tattoo fading product that uses ingredients that have been shown to be safe and effective. TATTOO DESTROYER. Tattoo Destroyer is simpler, more affordable than laser and convenient to use. The next generation in ND Yag lasers. Specifications:Type of Laser Q-switched Nd:YAG Laser. Apollo Q Beam plus. Key Features of the Q Beam plus. 2019 Portable Home Spa Tag Spot Mole Wart Tattoo Removal Machine CB-113 CME. Condition is Used. Shipped with USPS First Class Package. Profade 3 Step Tattoo Removal Cream - 2 Set. Profade Eliminate Your Tattoos Naturally,No Pain,No Risk ,No Surgery. By using Profade, you can make tattoos disappear regardless of the color, type and quantity of the ink, age of the tattoo or the depth of the tattoo. What is the Picosecond laser?. Picosecond laser background. The first picosecond laser PICOSURE from Synosure in US got FDA. The second picosecond laser ENLIGHTEN from CUTERA in US got FDA. Picosecond vs.Traditional.